Meccano (known in the U.S. as Erector Set) is famous for their great construction sets. 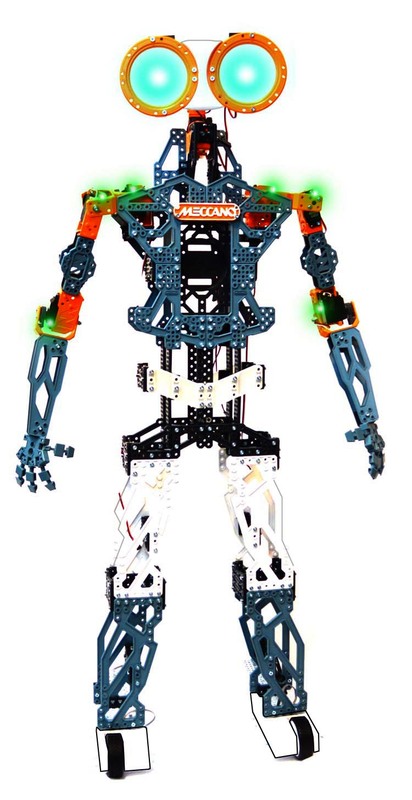 With the MeccaNoid G15 KS, they’ve given robot enthusiasts an awesome kit for building a 4-foot-tall mechanized friend, complete with voice recognition, conversational AI, games and a great way to teach programming concepts to kids and adults alike. The MeccaNoid app for iOS and Android gives builders multiple ways to program their robot and bring it to life. The MeccaNoid is due on store shelves at the beginning of August for a price of $350.